"Roads fragment landscapes and trigger human colonization and degradation of ecosystems, to the detriment of biodiversity and ecosystem functions. The planet’s remaining large and ecologically important tracts of roadless areas sustain key refugia for biodiversity and provide globally relevant ecosystem services. 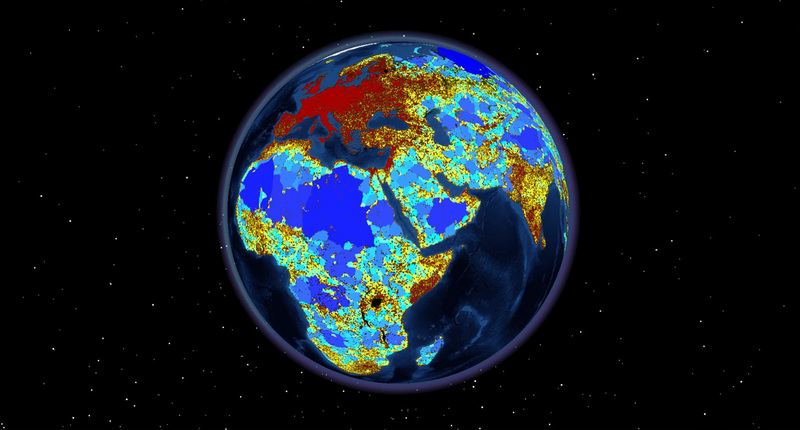 Applying a 1-kilometer buffer to all roads, we present a global map of roadless areas and an assessment of their status, quality, and extent of coverage by protected areas. About 80% of Earth’s terrestrial surface remains roadless, but this area is fragmented into ~600,000 patches, more than half of which are <1 square kilometer and only 7% of which are larger than 100 square kilometers. Global protection of ecologically valuable roadless areas is inadequate. International recognition and protection of roadless areas is urgently needed to halt their continued loss."